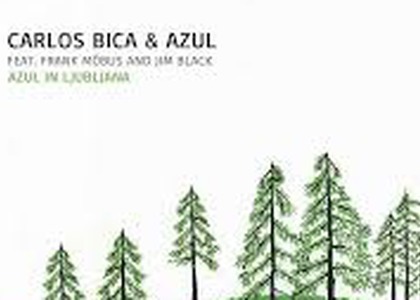 Rarely does one find a band name as closely tied to a single musician, as in the case of Azul, bound to Portuguese bass player Carlos Bica and his unique trio comprising guitar player Frank Mobius and drummer Jim Black, a phenomenon Romania got to witness during the Garâna festival. The members of Azul have been making music together for the past 20 years, and this can be felt in the interplay and harmony of sounds, in the way in which Bica's playing becomes elastic, resulting in profoundly personalized improvisation. So far, Azul has released six studio albums, and now the time has come for their first live recording, which really captures the musical essence of this prolific ensemble, namely spontaneous composition in developing a theme. In-studio productions, processed in every aspect, give way to an organically developed tune through improvisation. That's why this album plays such an important part in reinforcing one's opinion of Carlos Bica, more specifically regarding what he's maintained and refined over the course of two decades. The recording of their 2015 Ljubljana concert directly connects listeners to the band's musical spirit, as it becomes more expressive in a live performance, diving deep into their musical material and incredible instrumental creativity. The sound of the guitar, with its distinct rock accents, and the very personal explosion of rhythm serve as complementary parts to this one-of-a-kind fantastic musical wonder. Azul is the sum of all its select parts, bundled up into a beautiful, intense and mysterious repertoire that gives 21st century jazz a hint of sensitivity and contradiction, and true human experience.